Variety is the spice of life, and it’s time your plate matched this proverb. It’s likely your meals could use a makeover by practicing colorful eating. 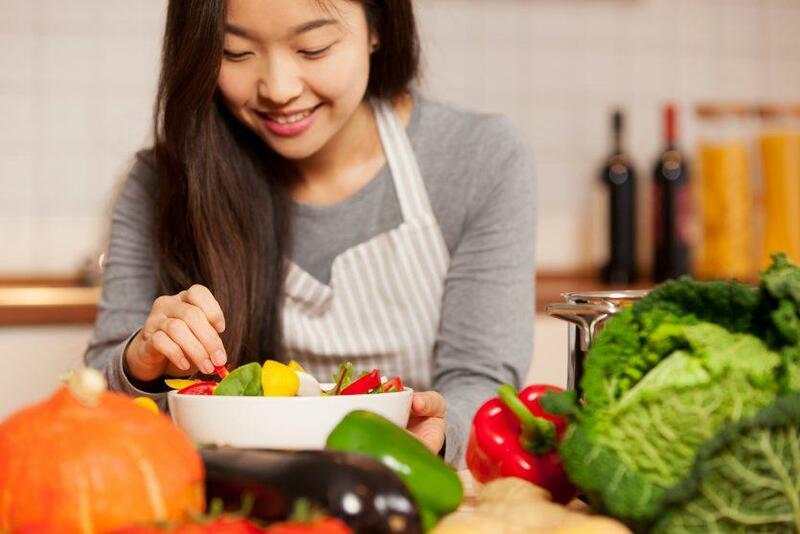 Surveys show that a troubling majority of adults still don’t eat enough fruits and vegetables. In fact, as of 2013, 76 percent and 87 percent of adults did not consume the recommended daily intake of fruits and vegetables, respectively. That means most adults are missing out on the benefits of a plant-rich diet. Diversifying your diet with colorful eating is worth it—for your palate and your health. Fruits and vegetables add more than splashes of vibrant color to your diet. Each color represents different phytonutrients, or plant-derived micronutrients, that can support many systems in your body. So, colorful eating means helping to maintain your cardiovascular and immune system, your eyes, your brain, and healthy cellular communication. The first step in reversing this deficit is to visually assess the colors on your plate. Ask if your meal looks monochromatic—all one color, like whites or browns. If it is, liven things up by adding in vibrant sides of in-season fruits and vegetables. Adding color to your diet doesn’t need to be overwhelming. Since each color represents different types of beneficial compounds, any color will do. Below, your options are broken down by the colors of the rainbow. The sections will tell you more about what each color can offer. Lastly, you’ll have shopping suggestions to diversify the produce in your grocery cart and make colorful eating easier. Red fruits and vegetables often contain beneficial compounds like carotenoids and flavonoids. These naturally-occurring compounds offer a range of health benefits when consumed regularly. Carotenoids are a group of pigments synthesized by plants. Commonly found carotenoids include beta-carotene, lutein, zeaxanthin, and lycopene. Many of these act as antioxidants in the body, helping to neutralize free radicals. This activity can help protect your cells and support your health. Additionally, these carotenoids play an important role in good vision. Beta-carotene, for example, is also known as provitamin A. This means that the body converts dietary beta-carotene into vitamin A, or retinol. In the retinol form, it’s a necessary component of a chemical reaction—occurring in the retina—that ultimately helps with low-light and color vision. Lycopene also deserves a closer look. When regularly eaten, lycopene has been associated with increased levels of antioxidant enzymes and reduction of oxidative stress. Furthermore, observational studies have shown promising data about a link between dietary lycopene and the maintenance of overall health. To boost levels of lycopene in your diet, reach for tomatoes—fresh or canned. Get creative with how you incorporate colorful eating into your meals. This will keep you from getting bored. Some ideas include: caprese salad, tomato soup, and pasta with marinara sauce. But there’s more to the color red than just lycopene. Red-hued foods contain vitamin C and phytonutrients, like flavonoids—which also act as antioxidants. These phytonutrients aren’t restricted to food alone—they can also be found in beverages. So, if you enjoy the occasional glass of red wine, do so guilt-free! Red wine packs a punch when it comes to flavonoids and similar compounds—especially resveratrol. 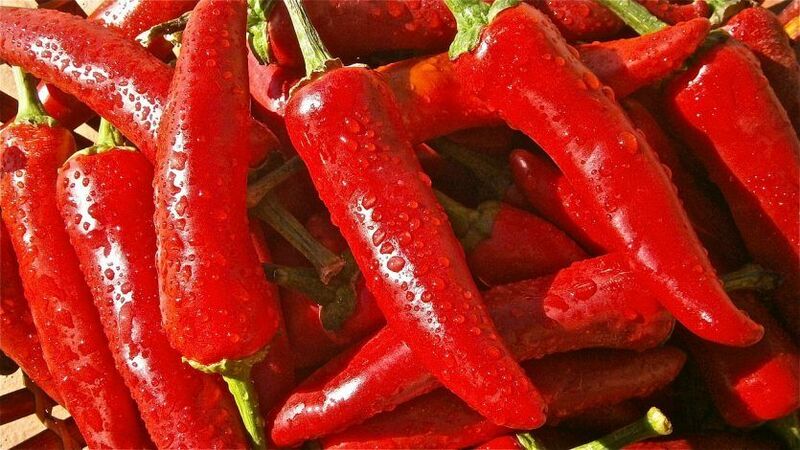 What to buy: Consider spicing up your shopping list with a variety of red foods. Fruits and vegetables that are orange or yellow also provide carotenoids. The most common one found in orange and yellow plants is beta-carotene. As mentioned above, one possible fate of beta-carotene is its conversion to vitamin A upon ingestion. However, when beta-carotene is not converted, the body uses it as an antioxidant. Orange and yellow plants also offer essential vitamins and minerals—vitamin C, folic acid, and potassium. For example, citrus provides large amounts of vitamin C, an antioxidant and essential nutrient. What to buy: Add the following to your grocery list to brighten each meal. Since you were a kid, you’ve probably heard something along the lines of “Eat your greens.” It doesn’t sound very exciting. But when you look at what these greens are packing, you might find them more enticing. Green plants provide a wealth of carotenoids and essential nutrients in the form of vitamins A and K, and potassium. Leafy greens also offer a healthy dose of calcium. If that list doesn’t impress you, consider the fact that many green veggies are sources of glucosinolate. This compound is a precursor to isothiocyanates. These are the compounds that give some vegetables a slightly sour, bitter, or “skunky” taste. But you should learn to love the flavor because of all their health benefits. They play a role in cell signaling, support your detoxification pathways, aid in the production of glutathione and have antioxidant activity. 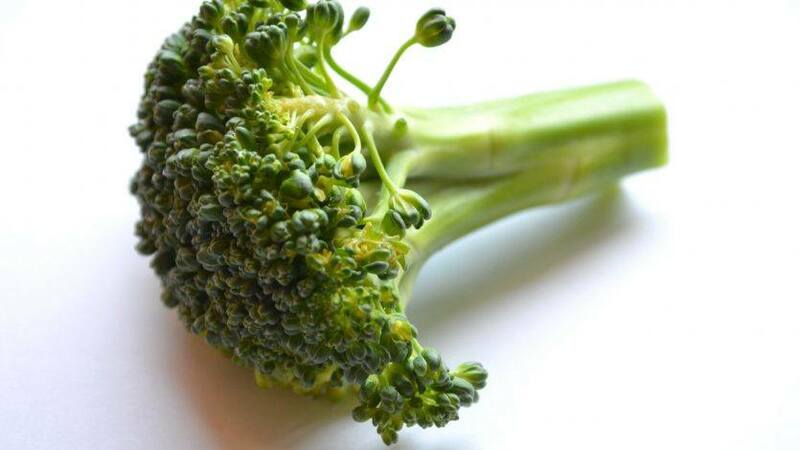 You can get your fill by consuming cruciferous plants, or vegetables within the Brassica family. Broccoli, cabbage, cauliflower, and kale are some of your options. If you want the most bang for your buck, one group of researchers has shown that mustard greens and cabbage are particularly high in these beneficial compounds. Also consider chowing down on spinach, kale, turnip greens, or collards if you want your plate to go green. What to buy: Pick up a variety of these greens the next time you’re at the market. 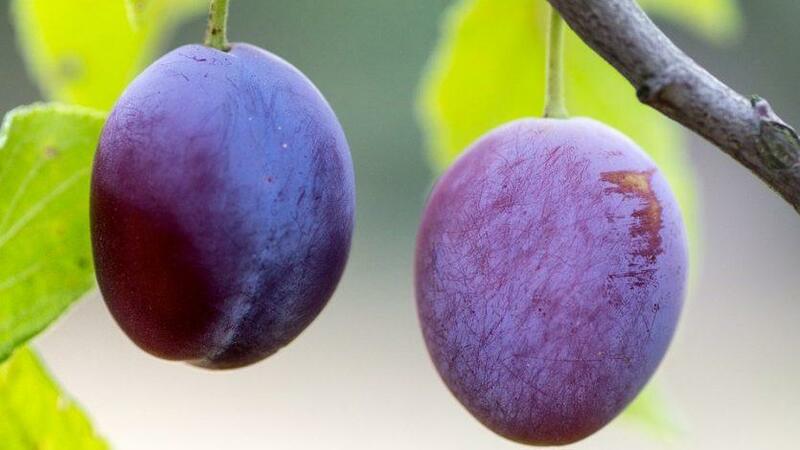 Plants that are purple and blue in hue are rich in anthocyanin pigments. Anthocyanins are yet another group of flavonoids. These micronutrients act as antioxidants, primarily helping to protect cells and tissues from oxidative damage. A group of researchers analyzed 15 fruits and seven vegetables to determine the content of these beneficial pigments in each. Of the blue and purple foods, the following had the highest concentration of anthocyanins: wild blueberry, elderberry, black raspberry, and eggplant. What to buy: Next time you’re in the grocery store, add some of the following to your shopping basket. Understandably, it can be difficult to incorporate these items into meals for picky eaters or those pressed for time. However, you can employ some tricks to increase the amount of colorful eating you’re doing. And here’s a secret: they’ll taste good too! Add mild-tasting greens, like spinach, into smoothies. If you’re averse to vegetables in a smoothie, offset the flavor with something sweet, like strawberries. Try milk and banana for creaminess, your greens, and frozen strawberries to keep it cool and thick. Blend and you’ll be well on your way to the recommended daily five cups of fruits and vegetables in one on-the-go meal. Try a slightly healthier version of mashed potatoes by substituting one-third of them for steamed root vegetables, like carrots and turnips. Even cauliflower can serve as a substitute. Mash the mixture together with salt and a small amount of butter or a healthier alternative—like olive or avocado oil. This alternative will still be the creamy, starchy dish you know and love, but with more phytonutrients in the mix and a dash of fiber to boot. And limiting potato intake has been shown to be a good move for your weight. Opt for a health-conscious dessert by subbing chilled coconut milk and your favorite berries for ice cream. Your sweet tooth will be satisfied and you’ll get a big dose antioxidants and flavonoids, too. Jenna Templeton is a health educator and freelance science writer living in Salt Lake City, Utah. After receiving a bachelor of science degree in chemistry from Virginia Tech, Jenna spent five years as a research scientist in the nutritional industry. This work fueled her interest in personal wellness, leading her to pursue a graduate degree in Health Promotion & Education from the University of Utah. Outside of work, Jenna enjoys live music, gardening, all things food, and playing in the Wasatch mountains. Aschoff AK, et al. 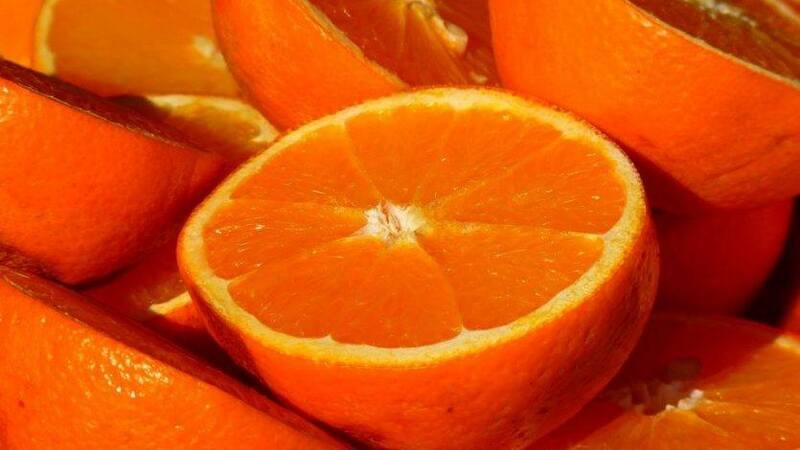 In vitro bioaccessibility of carotenoids, flavonoids, and vitamin C from differently processed oranges and orange juices Citrus sinensis (L.) Osbeck. J Agric Food Chem. 2015, 63 (2): 578–587. Bohm V. Lycopene and heart health. Mol Nutr Food Res. 2012, 56 (2): 296-303. Lila MA. Anthocyanins and Human Health: An In Vitro Investigative Approach. Journal of Biomedicine and Biotechnology. 2004, 2004 (5): 306-313. Moore LV, Thompson FE. Adults Meeting Fruit and Vegetable Intake Recommendations – United States, 2013. MMWR Morb Mortal Wkly Rep. 2015;64(26):709-13. Recommendations – United States, 2013. MMWR Morb Mortal Wkly Rep. 2015 Jul; 64 (26): 709-13. Tang L, et al. Total isothiocyanate yield from raw cruciferous vegetables commonly consumed in the United States. J Funct Foods. 2014, 5 (4): 1996-2001. Wu X, et al. Concentrations of Anthocyanins in Common Foods in the United States and Estimation of Normal Consumption. J. Agric. Food Chem. 2006, 54, 4069−4075.